Morgan Shamy: Everything Is Awesome!!! I know the feeling of walking through a desert then all of a sudden it rains. You feel like And Dufresne from Shawshank r\Redemption after he escapes and the rains start pouring. good luck with the writing. Glad the words are flowing! I go months without writing, so I can relate. And thanks to your title I'm just sitting here humming that stupid song they put in The Lego Movie. We're both writing like mad lately, so we're taking advantage of it. And we're glad to hear YOU'RE writing. Everything is indeed awesome. Let the good words roll! Muse!!!! Love love ❤️❤️❤️❤️ And you. Always you. Always good to get writing when we can. Loves and hugs babe! Ah, Morgan! What a wonderful place to be in. Just enjoy it. Now I have that dumb song in my head lol glad you are getting writing done, as is Pat and the cat. That moment when things click is like the first rain after years of drought. I'm so glad you're writing again, Morgan, it's the best! Congratulations on getting your groove back! I'm so glad everything is awesome, and I'm looking forward to hanging out with you again the Friday after this next one for David Powers King's "Woven" release party. Hopefully I'll see you at the Paris Bistro beforehand. Do you think we should let them know a bunch of us are coming? I don't want to overwhelm them as they are a small restaurant. I don't even know if we have an official headcount. Let's see there's me, you, Michelle, my friend Meg, my friend Farrah, my friend Jake, David and his wife I think...that's eight which seems like a big group already. Hmmm. I think we should probably let them know. My clear visions come about every time I finally finish a chapter and send it out to my crit partners. For about 24 hours, I feel great about everything having to do with writing. So glad it's awesome and so glad you're writing! Happy to hear all is well in Morgan World!! Cute picture, you should have kept it up. I was wondering where that pic went on IG... Love you pretty little face!! Glad everything is heading up hill and towards the sky in you neck of the woods!! Happy writing! I love the Muse muse pic. Yay for writing!! 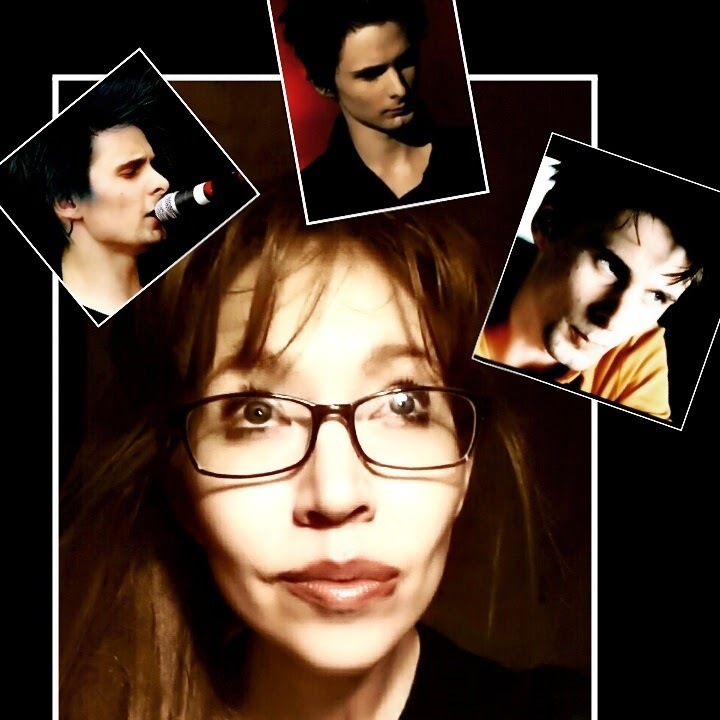 I love your muse pic. Hooray for that burst of flowing, uncontainable words! Hope it continues until the end! It is always good to hear that things are going well! Keep enjoying life and writing! Glad to hear everything is so rosy, and I'm right there in the flower bed with you, writing-wise. Doors are opening and I'm writing up a storm. Involved in a competition right now that's been fun. We just submitted to round one out of three (if you continue on from your heat). I actually saw Seventh-Heaven when we died: you couldn't GET any moe curly, extravagantly-surplus-lush Upstairs when my beautifull, brilliant, bombastic, bawlsy girly passed-away at 17 (God calls U.S. home regardless of our maturity). Let's say the entire universe is located between thy thumN4finger, k? Forever is a romantic, X-ray-spex-Paradise for the length and breadth of eternity without end. CHOOSE. We cannot stay here: this is a test to see where we go to based on OUR decisions, up or down. And dats da fak, Jak. "Those who are wise will shine as brightly as the expanse of the Heavens, and those who have instructed many in uprightousness, as bright as stars for all eternity"
-the Infant Jesus of Prague.